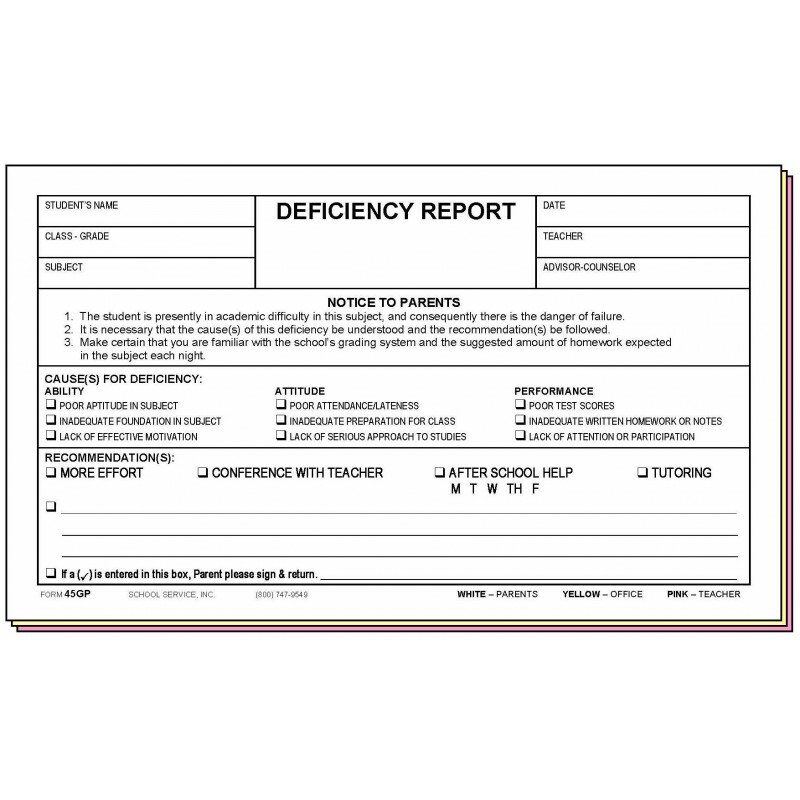 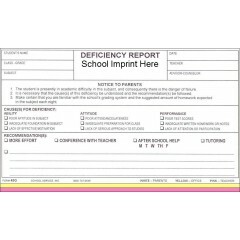 3-part deficiency report with parent's signature..
Form 45GP- Progress Report w/School Imprint. 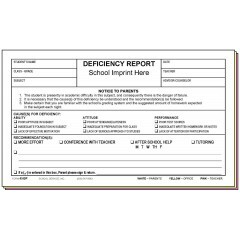 Sold for $10.00 per pack. 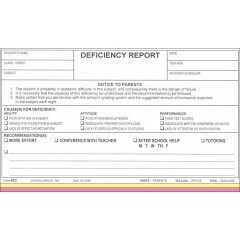 Order 5 packs (500 sets) for $9.80 per pack. 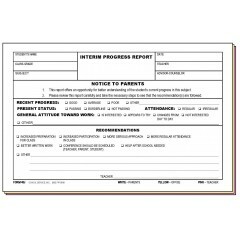 Order 10 packs (1,000 sets) for $9.20 per pack. 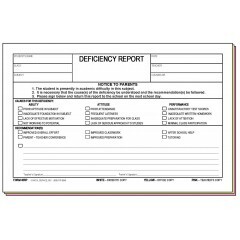 Order 50 packs (5,000 sets) for $8.70 per pack.